Just before 2011 makes its exit, Facebook finally implemented a new feature that people either love or hate: Timeline. As it turns out, timeline is just a preview of things to come in 2012. It was recently confirmed in a statement by Facebook last Tuesday that they would be running “sponsored stories” in our newsfeeds. That’s right, the newsfeed will no longer be exclusive to friends and our fanpages. We’ll also be getting unsolicited ads from whatever company it is that paid Facebook enough cash. If you hate the ads that appear on the side of your screen, then you’re likely to hate this new development as well. It’s rather invasive compared to the ones at the side, taking a prominent place in the newsfeed, which is pretty much where people’s eyes are glued to when they check Facebook. These ads will be differentiated by a “sponsored story” label at the bottom but will look exactly like a friend’s post otherwise. It’s likely to be a targeted ad as well and the story will be chosen based on pages that your friend liked. But then some people say that it’s a small price to pay for Facebook’s free service. Is it, really? Well, that’s certainly what Facebook hopes we’ll think. Chances are, we’re going to adapt to this change just as we’re adapting to the Timeline, the Ticker, and the targeted ads. 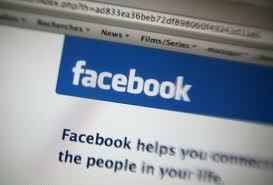 Besides, Facebook is going to take extra care to roll the feature out slowly and gradually. They say that they’re going to roll out no more than one sponsored ad per day. What we don’t know is if they’re going to show this one ad once per day or multiple times a day. Also, since this has practically nothing to do with our privacy and security, there will be no opt out feature. You could choose to hide one ad one at a time, but there’s no way to turn off the entire feature. Also, even if you hide the ad, it will still remain on the pool of sponsored ads. On the other hand, though, this will give advertisers and app developers a much better way to reach their customer base. It’s easy to ignore something that’s on a sidebar, but that’s not the case with something on the newsfeed. At the end of the day, it’s all about the bottom line. Always has been…always will be.